Commissioned by the NCC through the regional and provincial offices of the Department of Trade and Industry and a partner local academe, and as a part of the Good Governance and Anti-Corruption Cluster initiatives, the Field Monitoring and Evaluation Survey aims to determine the compliance rate of the selected local government units in terms of the BPLS standards set for both new and renewal process. The survey also intends to ensure the implementation of the nationwide streamlining of BPLS program through performance and customer feedback. The survey is conducted by a local academe through: interviews, focused group discussions, and through secondary resources (articles, circulars, city ordinances, etc.). Based on the list of LGUs provided by the DILG-LGA, a sample size of at least 20 respondents per LGU was determined in the conduct of the survey. 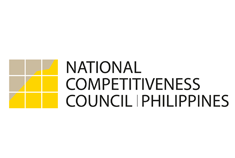 In 2011, NCC in partnership with the Department of Trade and Industry’s Regional and Provincial offices launched the conduct of the Customer Experience Survey. The survey is conducted annually during the renewal period of business permits from January to February. The survey aims to: assess the experience of businessmen who renewed their mayor’s permit in the renewal period of January to February; to determine the satisfaction level of businessmen based on the customer satisfaction index framework with the process of renewing their mayor’s permit in their respective LGUs.